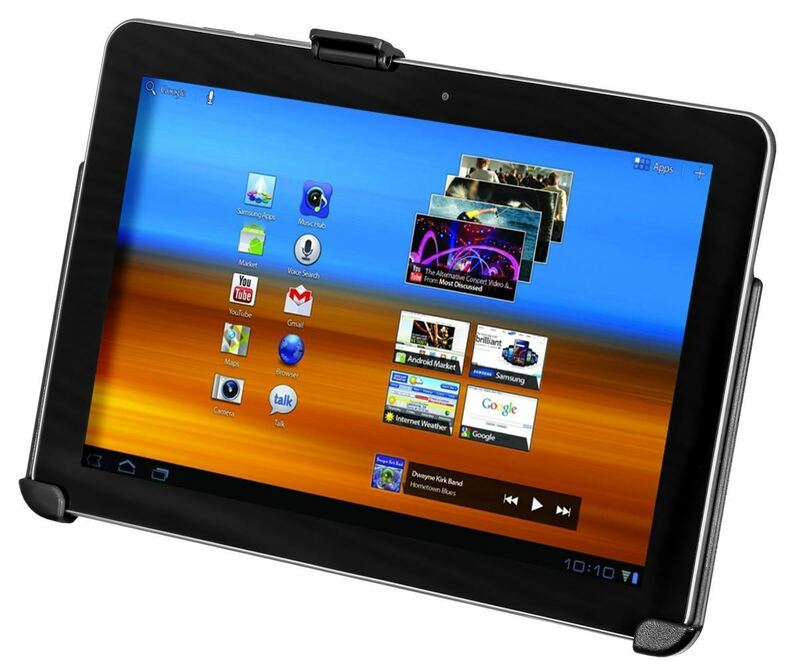 The RAM-HOL-SAM5U EZ-ROLL'R for Samsung Galaxy Tab 10.1 is a cradle perfectly designed to fit your tablet and is compatible with mounts with the AMPS hole pattern. The RAM-HOL-SAM5U RAM EZ-ROLL’R™ for Samsung Galaxy Tab 10.1 from the RAM iPad & Tablet Mounts range is made up of an extra strong and durable composite cradle and hole design, enabling it compatibility with all RAM mounts that make use of the AMPS universal hole design. The RAM EZ ROLL’R is the ideal product for your vehicle, as it can work with a universal wide range of mounting products. Perfect for the Samsung Galaxy Tab 10.1 and the Samsung Galaxy Tab 2 10.1, without cases, sleeves, skins.